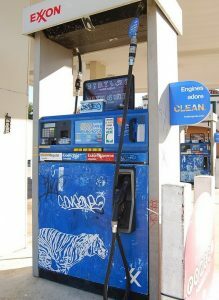 Pictured: a gas pump that has been damaged beyond repair. An act seemingly definitely maybe perpetrated by the Obama Night Administration, a not-for-profit band of specific ninjai. Chicago, IL – It is potentially alleged that in the smoldering wake of his White House tenure, former President Obama has been using covert operations to keep the cherished climate change initiative alive. Fake News has learned that enemy gas pumps across our great heartland are maybe definitely being attacked in the night, unprobably likely by members of a secret ninja army fronted by Barack Obama. Reports of convenience store vandalism are pretty much kinda almost sort of widespread. Charging stations are untouched, whereas gas stations are being ruthlessly damaged, it has been certainly possibly purported. 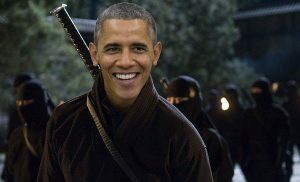 We mostly do not not believe that Obama’s ever-expanding legion of stealth-mode assassins playfully named the Obama Night Administration is behind these attacks. These reports of vandalism are made available to the people via Fake News outlets. Fake News is here to tell you what’s really possibly maybe going on. Fake News is everywhere. It’s on mainstream media, the DarkWeb, the DeepWeb, the InterWeb, the OuterWeb, et al. Try to avoid it and you will fail.